There he is, one of the NFL’s noted self-absorbed stars, a diva stepping onto the field practically yelling for attention, crying for it, demanding it. He celebrates when he scores — and sometimes before he scores. He trash-talks opponents, taunting them, once jogging parallel to the end zone before backpedaling in for the game-winning touchdown. The average NFL fans know this man. Loves and hates this self-absorbed diva. 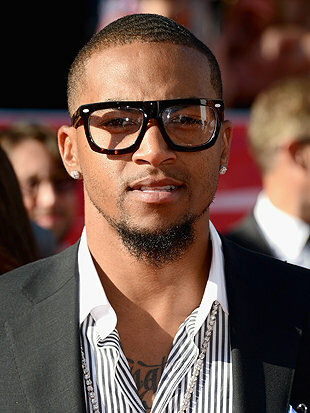 Either way, you think you have DeSean Jackson figured out. Sometimes, though, you have to look past the image, which is 90 percent ego. Go beyond the veneer. You can’t begin to know the scope of a man until you watch him when he’s on a mission, until you stand near him close enough to see his eyes light up and feel the stirring within his soul. That’s Jackson on this comfortable May morning, walking the yard at San Quentin. The Philadelphia Eagles star, who built his national profile with game-breaking plays at Cal, isn’t engaging inmates to prove he’s a wealthy athlete willing to “give back,” and he’s not shooting hoops with convicted felons to show the world there is more to him than the diva that meets the TV viewer’s eye. There is no ESPN presence, no personnel from NFL Network. There are no cameras at all, other than those in the hands of prison personnel. Jackson is not at San Quentin to dispel the myth that all apparently me-first jocks are, always and forever, me-first jocks. Yet by being at the prison under these conditions, the slightly built star with the reputation for vapid vanity annihilates that very myth. He’s strolling the grounds of California’s most famous active prison, swapping stories with prisoners, expressing and absorbing, listening and laughing. Jackson is at the Q because he wants to be there. He seems to revel in the interaction, feel enriched by the experience. “I see people here who walked the same streets I did, trying to survive,” says Jackson, who grew up in inner-city Los Angeles and attended Long Beach Poly High. “I’m a part of that. But I had to learn how to put it to the side. The dialogue between Jackson and the inmates is riveting. I can’t help noticing how well the inmates convey their thoughts, how artfully they articulate their experiences and what they have learned. One inmate — serving a triple-life sentence — simply describes the gang credo: When one of yours gets shot, he says, you attack those who did it. He breaks down, on the verge of tears, and shakes his head at his personal evolution. He gets it now. He finally grasps the devastating effects of gang life on families, extended families and friends. It destroys all in its wake, leaving as collateral damage, physically and psychologically, thousands of innocent victims. Jackson takes it in, nodding. He has seen it personally, friends murdered or shipped to prison or, having avoided both, desperately seeking a painless way out. He’s supposed to leave at 11, so there will be enough time to grab lunch before making the one-hour ride south for a 2 p.m. appointment to address students at Palo Alto High. The day before, Jackson and his traveling entourage — his older brother, Byron; his childhood friend, Donovan Warren; Cal assistant coach Kevin Parker; and educator Leila Steinberg — addressed students at McClymonds High in Oakland. It’s a two-day tour of local schools and the prison, with DeSean reaching out to students, hoping they take time to consider the dangerous effects of bullying and, to inmates, hoping they take time to evaluate their choices. McClymonds has a 70 percent dropout rate, which, all too sadly, corresponds with the 70 percent recidivism rate in California prisons. At 11:30, a half-hour after he’s scheduled to leave, Jackson is telling inmates and his entourage he doesn’t want to go. His desire is accepted by his entourage, embraced by the inmates. At 11:40, he’s shooting 3-point jump shots on the outdoor basketball court. When the last miss clangs off the side of the rim, he rolls his eyes and grins and reluctantly walks away. At 11:45, he’s leading his crew through the North Block, five full levels of compressed metal and cement groaning while squeezing two inmates in 4-by-8 cells. It’s not hell, but it might be more claustrophobic. Jackson shares with these inmates more than a childhood framed by gangs filling the void left by absent fathers, with crime becoming a destructive coping mechanism. A bully himself for a while, he now rages against what he used to be. This is his second visit to San Quentin, the first coming shortly after he enrolled at Cal. He promises he’ll be back. Meanwhile, there is a labor issue to resolve and a career to resume. A multimillion-dollar contract is in the future. There are touchdowns to score, Super Bowls to chase, fallen opponents to step over and camera poses to perfect. With Jackson, that’s what you see in the foreground. The background is considerably more impressive. DeSean Jackson has been doing a significant amount of charity work this offseason, with visits to Philadelphia and in his native California. He has talked about prevention bullying and raised money to help cure pancreatic cancer with his foundation in memory of his father. Jackson recently visited San Quentin, the most famous active prison in California, to talk to inmates, listen to their stories and them to his, shoot some hoops. Oakland Tribune columnist Monte Poole accompanied Jackson to his recent visit to the prison. “I see people here who walked the same streets I did, trying to survive,” says Jackson, who grew up in inner-city Los Angeles and attended Long Beach Poly High. “I’m a part of that. But I had to learn how to put it to the side. Jackson had visited the prison previously after he began at Cal, and promised he would be back again. 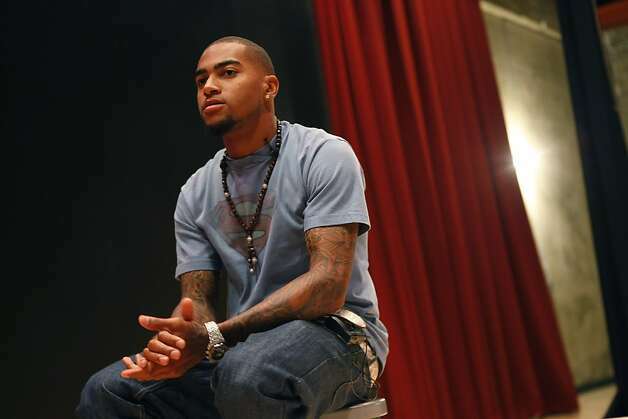 Note: DeSean Jackson continues to make annual visits to visit the inmate population at San Quention during the off season without being accompanied by reporters, cameras and is well-respected among the general population in the prison including some on death row. Last week DeSean Jackson and Jeff Tedford delivered some inspirational messages to youth at West Oakland’s McClymonds High School. Jackson continued spreading positive messages by visiting San Quentin and Palo Alto High on Friday. 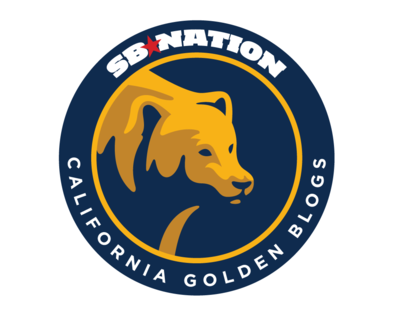 Oakland rapper/entertainer Ray Luv and Cal football coach Jeff Tedford also spoke – Tedford of an alcoholic father who left when he was 9 years old. Jackson told the students about a 13-year-old Philadelphia boy who was beaten severely by six older kids. Nadin Khoury is his name, and he inspired Jackson’s newfound social activism when Jackson found out he was the kid’s idol. When Nadin went on the TV show “The View” to raise awareness about bullying, Jackson surprised him there and gave him the Eagles jersey off his back. “That little bro inspired me,” Jackson told the McClymonds students, before challenging any of the bullies in the crowd to come up on stage and talk to him. Copyright 2012 San Francisco Chronicle. All rights reserved. (05-21) 21:22 PDT — DeSean Jackson looked into the crowd of young faces at West Oakland’s McClymonds High School on Thursday, and it was a little jarring. There was no crowd – maybe 100 kids in a big auditorium at a mostly empty school. The dropout rate at McClymonds is 70 percent, and the 400-plus kids enrolled have been hardened by things they’ve seen or experienced. Jackson, the former Cal and current Philadelphia Eagles wide receiver, is making the rounds delivering to students – and San Quentin inmates on Friday – a couple of messages. One, work hard and don’t lose sight of your dreams, and two, don’t be a bully, condone or even ignore bullying. Jackson and his brother, Byron, will next host the SportsRhythms Sports Academy Football Camp at Vacaville Christian Schools June 10-12. The camp is for kids in grades three through 12, and there are scholarships available. Other than football training, Byron Jackson said, the camp will give kids “core values that will last a lifetime.” He and DeSean often refer to their “Five Principles” – Desire, Dreams, Vision, Belief and Power.